One of the best features about Google+ is, without any doubt, the way we can manage who see the things we share. With Circles, Google+ has beaten Facebook in making it super easy to make sure that only the intended people see our updates. As Google+ gains more users, a very serious privacy issue has been discovered with the way Google+ manages who can see your photos albums. Of course Google+ allows users to keep private albums. In fact private albums are quite important in Google+ because photos taken using an Android device gets uploaded to your private photo album. Tagging a person in one of your photos in Picasa Web Albums or Google+ will share the album with the person tagged. Facebook too allows users who have been tagged to see the photo. But people tag others in Facebook photos to let them see it. In the case of Google+ it it a bit different. 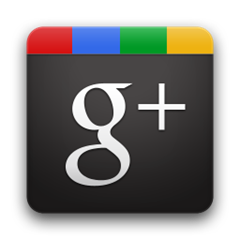 The Google+ photo album is basically Picassa – the popular photo management tool. Since Picassa has been in existence much before Google+, people do not tag others on Picassa to share – they tag to organize their photos. The people that are shared with are also added to the album's 'Shared with' list, meaning they can share your album as well. You can remove access for anyone at any time. So basically what it means is that, if you try to organize your photos in a private album by tagging the people in the photos, not only will they be able to see every photos you in that album, they will be able to share it as well. If it happens with your Instant Upload album – that is the album to which Android devices automatically uploads your photos – others can see all the photos you have taken using your Android device. This is simply a huge privacy nightmare. Google+ is still officially in the field testing phase and let us hope they sort this out.